For a few years in my early twenties, I worked for a travel agency and had access to travel brochures and guidebooks galore. The term ‘bucket list’ didn’t cross my mind but during that time I compiled a lengthy one. Blackwater rafting the Waitomo caves, hiking to Everest base camp, diving in the Galapagos Islands, climbing Mount Kinabalu, taking a train across Australia, meeting the Masai Mara in Kenya, watching the sunrise at Angkor Wat, feeling the roar of Victoria Falls, watching the northern lights from the snowy fields of Norway, the list goes on. Some of those hold less appeal to me now, some I’ve done, and some are still waiting for me. 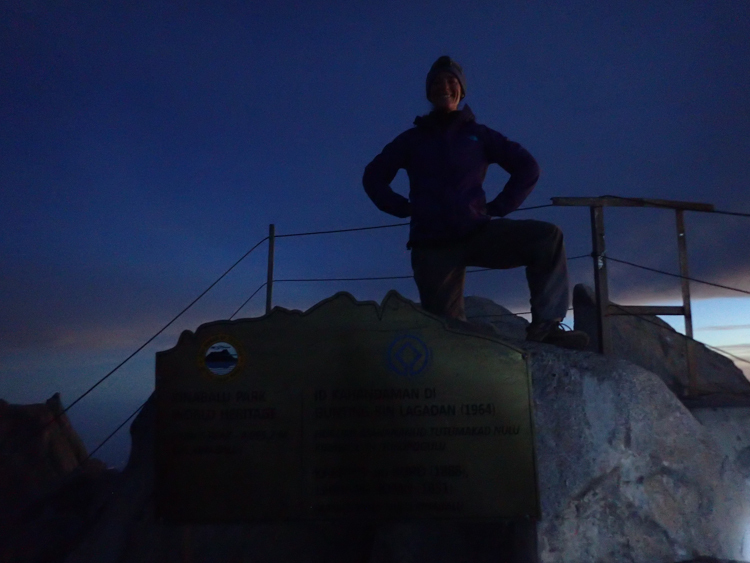 This week I ticked off a big one: climbing Mount Kinabalu, the tallest mountain in SE Asia at 4,095.2 meters. 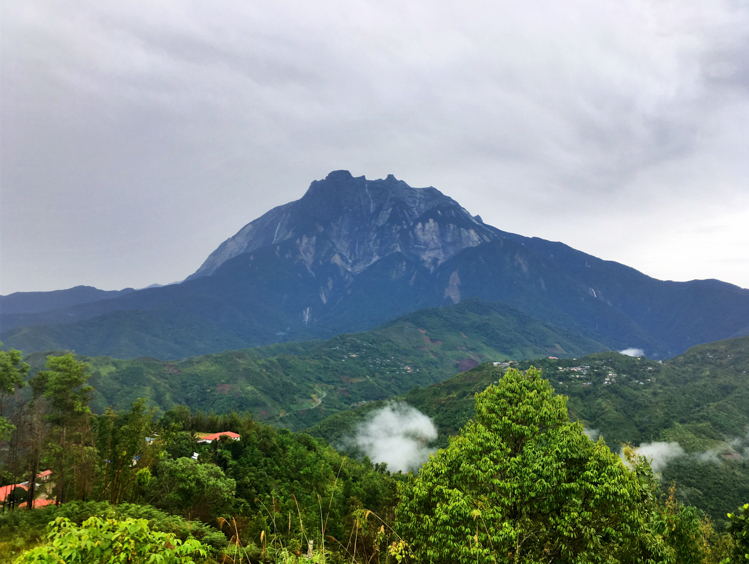 Mount Kinabalu is considered sacred to the indigenous Kadazan Dusun people, believed to be the resting place of the dead. It’s a majestic peak standing high above its surroundings. Often shrouded in cloud, it’s common to not see the peaks for weeks at a time. There are twelve climate zones on the mountain so for those who care to look, there’s a huge variety of flora and fauna along the path. In late May of 2015, a group of foreign climbers stripped naked at the summit and subsequently posted photos on social media. The disrespect and scandal made international news and those climbers who were found still in the area were jailed, fined, and deported. Only a few weeks after the incident, the mountain changed forever. A 5.9 magnitude earthquake shook Mount Kinabalu, killing 18 people. Buildings were destroyed, the “donkey ears” peak is no longer, a trail was closed, and safety precautions were increased. Aftershocks are still occurring. My heart skipped a beat when I felt and heard the rumble during a rest stop on day two. Climbing the mountain is to be done with respect. Not only must one respect the power of mother nature, the safety precautions and rules in place, one must respect the local customs. It’s asked that climbers not swear at or curse the mountain. Behaving as those young climbers did, brazenly exposing themselves in the sacred area of a conservative nation, is appalling. Cover 6km on the first day and check in to the dormitories at an altitude of 3,261-3,289 meters. Day one takes an average of 4-6 hours. Day two begins at the time you’re assigned when you check in to your dorm on day one, typically 2:30-3am. Climb 2.7km to the summit at 4,095.2 meters. Ideally arrive in time for sunrise at 6am (close enough to the equator that there isn’t much fluctuation with that time). Descend to the dormitories at the 6km mark for food and to collect your larger pack then head to the base. I’m not sure of the average descent from the summit to the huts because I came down a different way. From the 6km point, it takes most people 3-4 hours to return to Park HQ at the base. Traffic jams happen but in most places the trail is wide enough to pass. There are shaded areas to rest, toilets, and taps with mountain spring water at multiple points along the way. It’s recommended that one treat the water before drinking it. A good guide will set the pace for you if you ask. If you don’t, he’ll bring up the rear of your group and let you wear yourself out or dawdle as you wish. If the wind or rain is too strong at the summit, climbers won’t be allowed up on day two. Climbing isn’t cheap and there are no refunds for cancellations, no matter the reason. Historically, March and April are the driest and best months to climb but this year, March has been rainy and miserable. I got two of the nicest days the mountain has seen all year. 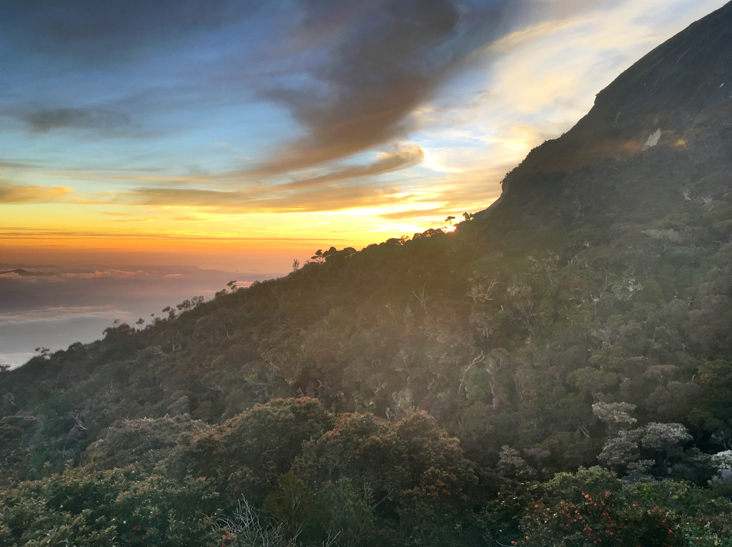 Anyone who is reasonably fit, has no major health problems, and has the mental stamina to make the climb can hike Mount Kinabalu. 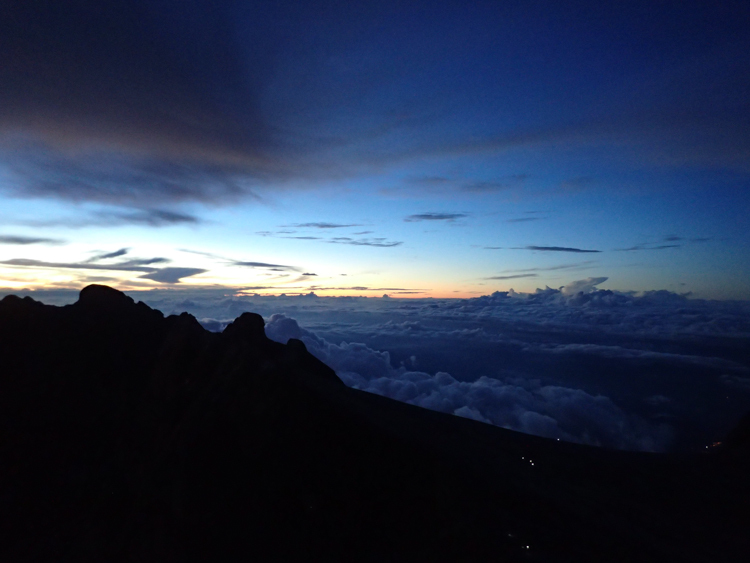 Guides have stories of people not reaching the summit until well past sunrise and finishing the descent at midnight. I’ve met many who said they couldn’t walk properly for two weeks after the climb and plenty who spent the day after in bed. My quads are sore as I write this three days after summiting but each day the pain decreases and I managed to carry a 25kg bag up two flights of stairs this afternoon. The climb really isn’t that hard. 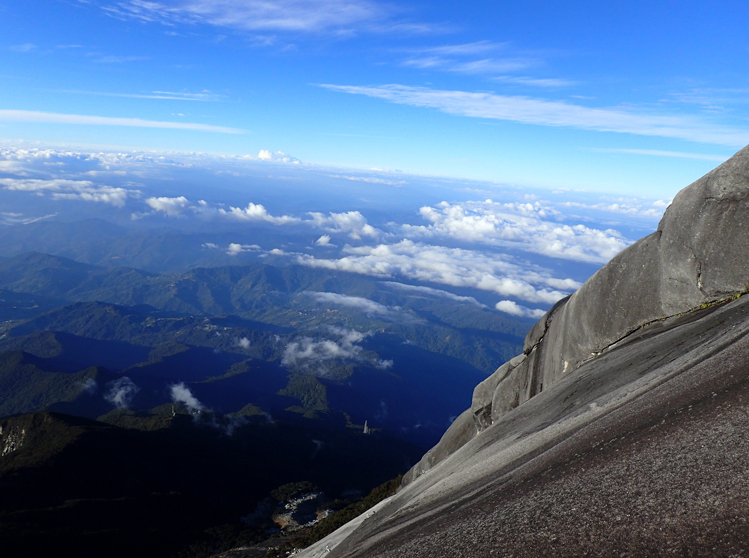 The highest via ferrata in the world is atop Mount Kinabalu. This “iron road” is a series of pegs, cables, and rails that allows people to pass along stretches of mountain they otherwise couldn’t. There are two circuits in use at the moment and another under construction. The Low’s Peak Circuit takes an average of 3-4 hours dropping 1.2 km from the 7.5km mark. Walk the Torq is a shorter option beginning at the 7km point and ending at the same spot as the Low’s Peak Circuit. 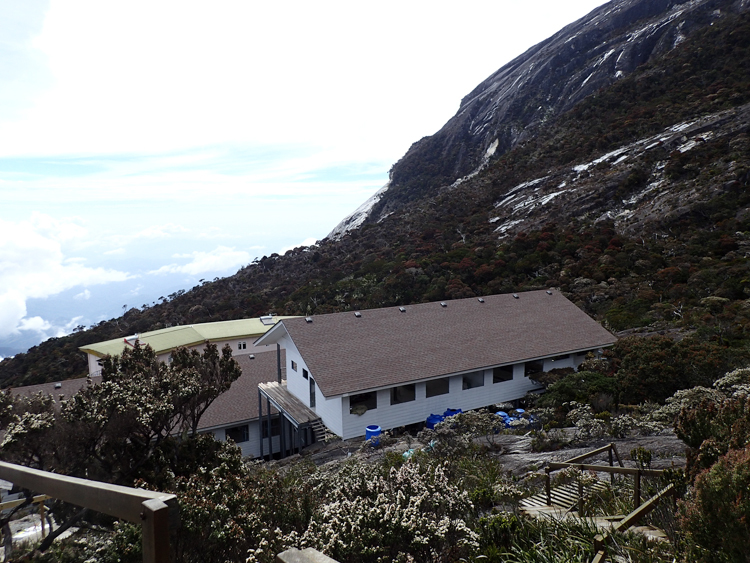 Climbers booked into the Via Ferrata stay in a designated hut and have a different meal schedule on day two to accommodate the prolonged descent time. The climb is ideally booked many months in advance and one makes a decision then about whether to pay for the Via Ferrata. Ever the optimist, I only started looking for a permit a week before traveling to Borneo. As my schedule is somewhat flexible and I’m solo, I managed to land a spot. But no Via Ferrata as I was told that was full. Just as some people wake up on day two and decide to not summit, some people attend the Via Ferrata briefing on day one and realize they have no interest in actually doing it. Freeing up a spot for yours truly. The views, if one is willing to look down and the weather is clear, are stunning. The experience of traveling down a sheer rock face a few meters at a time safely clipped and roped is exhilarating. 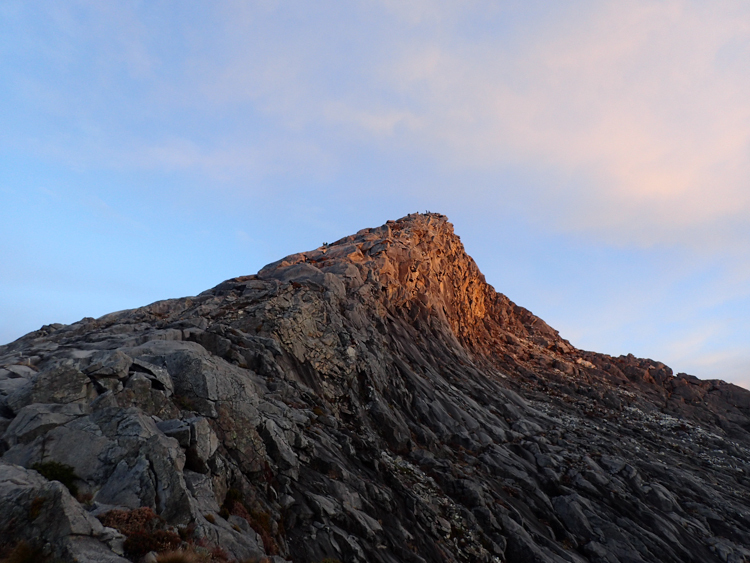 I no longer recall precisely what drew me to the idea of climbing Mount Kinabalu. Maybe it was the prospect of summiting the highest mountain in Southeast Asia, a region of the world I desperately wanted to explore. Or perhaps the photos looked beautiful and I wanted to see it for myself. Whatever the reason, the desire kept me from traveling to Borneo when I was last in SE Asia. I didn’t have proper shoes or clothing, it was wet season when I could have come, and I didn’t believe I’d be able to get a permit. If I was going to Borneo, I would climb Mount Kinabalu and dive Sipadan. This time around, it’s all falling into place and I feel like the luckiest person alive. About a week before I left Bali for Borneo, I started looking into options for climbing the mountain. The first few companies I called were fully booked for all of March and April and none were optimistic that I’d find anything. But then a company I hoped to work with found a spot for me through a partner entity. The price tag was steep but I’d be guaranteed to climb. I swallowed the cost and booked it. Side note: I now know of a last-minute much cheaper way to arrange the climb (search for Jungle Jack on Facebook and take it from there). 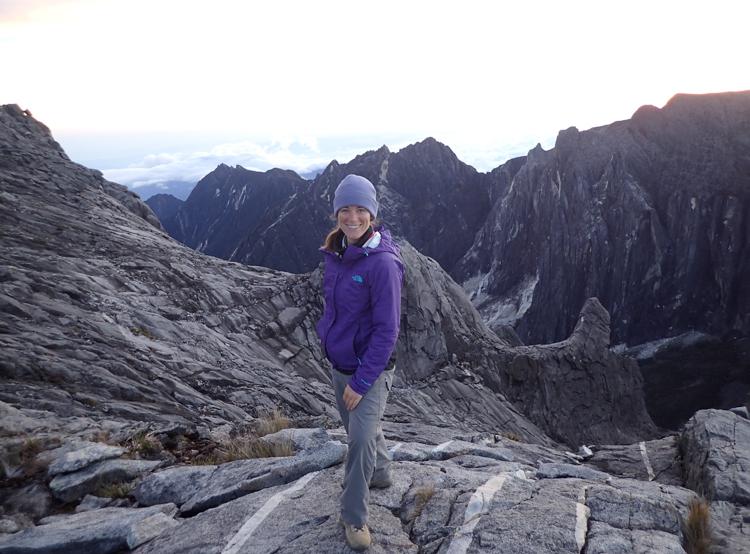 When I arrived in Kota Kinabalu and told people I’d be climbing, they all expressed concern. The rain wasn’t letting up. The trail was muddy and slippery, the path to the summit was closed a few days each week, the clouds were so dense that sunrise was barely visible let alone the stuff of photographs. To each person, I smiled and said, “It will clear. The weather will be beautiful.” And it was. The sun shone both days and on day two, there was no wind. I can’t imagine more perfect weather than what I got. To add icing to the cake, on the way to the gate I sat down next to a woman who turned out to be an excellent climbing partner. Well-traveled and also a lawyer by training, we had plenty to talk about when we weren’t huffing along. Our pace was aligned and she had great stories about climbing Kilimanjaro and other mountains around the world. She also knew it was possible to get a spot on the Via Ferrata if one turned up in time for the briefing and awaited a cancellation. Without her encouragement and stories of using a via ferrata in the Dolomites, I might not have gone for it. I’m so glad I did as it was unlike anything I’ve done and made the experience all the richer. 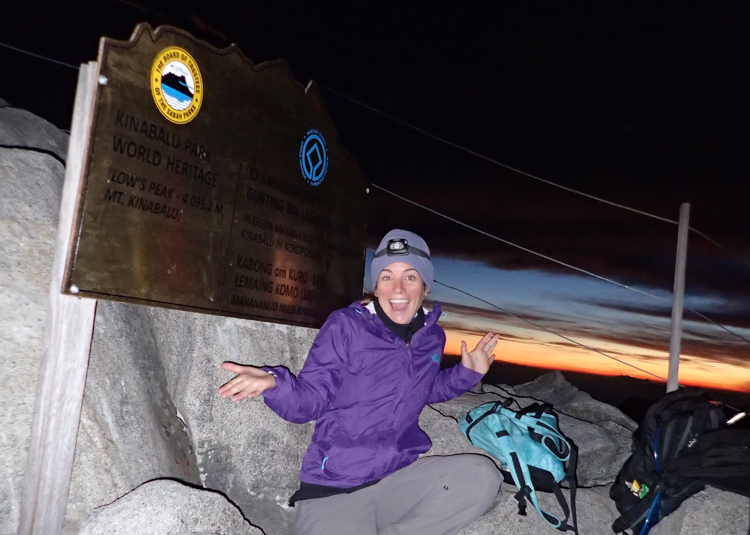 We asked my guide to set our pace to the summit and it was perfect. We hit the peak just in time for colors to begin lighting up the sky, had plenty of time for photos and snacks, and were the first ones to set out on the Via Ferrata. The two groups behind us were each more than 45 minutes back which means the third group may not have returned to the base until twilight hours. Luck was on my side. That guide I mentioned was also a stroke of luck. With 16 years of experience guiding up the mountain, he has a wealth of knowledge and speaks good English. 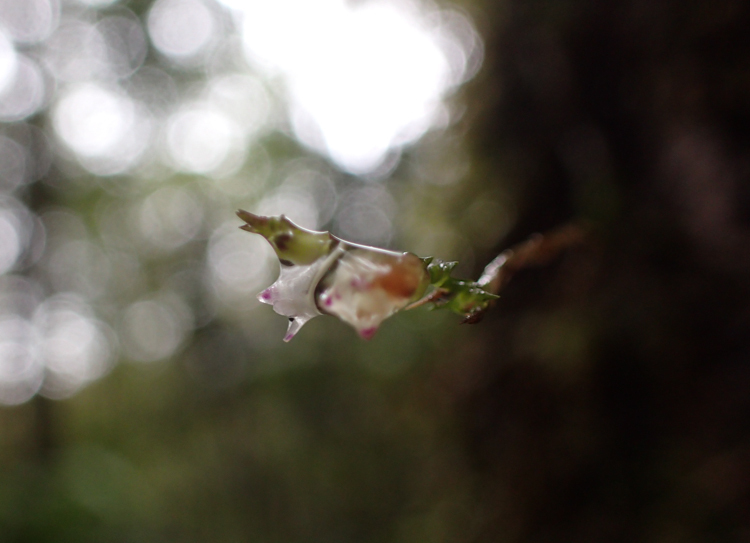 He kept pace with me, pointed out interesting plants, answered all my questions, and knew the trail in intimate detail. Other guides were on their phone (yes, there’s phone reception although I chose to leave my phone in airplane mode and not bring a charging cord along), lagging far behind their climbers or moving so far ahead that people wondered if they were lost. The more incredible things I experience and the more luck that flows my way, the more grateful I feel. 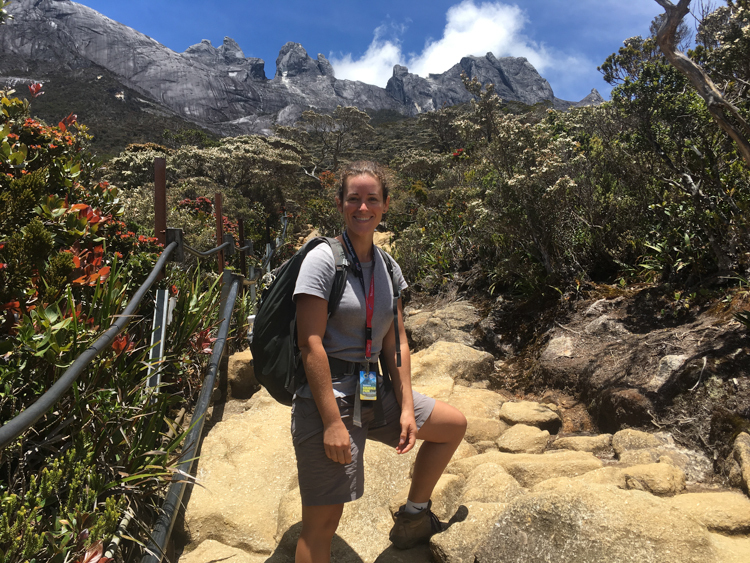 As I sat atop Mount Kinabalu eating Balinese chocolate, dried mangoes from the Philippines, and an American gel pack my father stashed in my bag after hiking Preikestolen, waves of gratitude washed over me. Seven years ago my back was so bad I couldn’t stand up straight. A hike of this sort was out of the question. Now, without any specific training, I’m healthy enough to climb and descend a mountain at the fast end of the average times. I have the financial resources to be in Borneo, paying for a guide and transportation. I have a mother who was kind enough to bring my hiking boots and trousers when she came to visit me in Bali. In that sentence alone are so many things to be grateful for. I have been given so many opportunities in my life and it is rich with beautiful people. As I type this, I am again overcome. 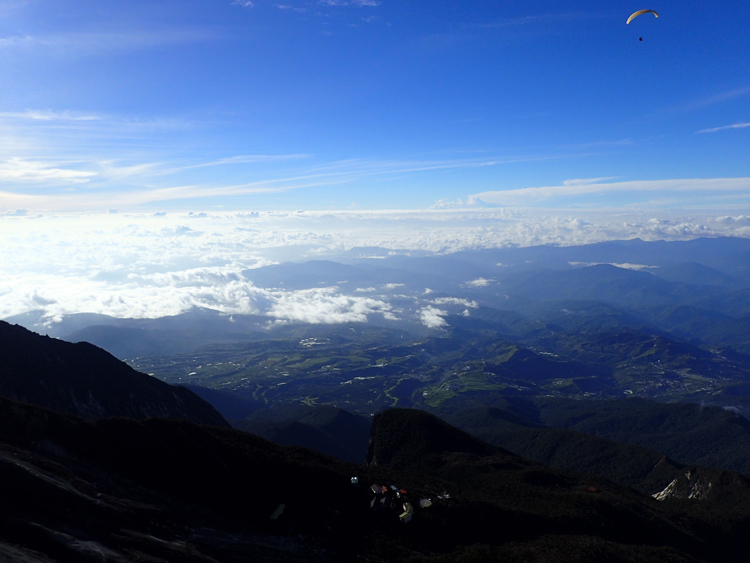 Climbing Mount Kinabalu sits near the top of an ever-expanding list of amazing things I’ve done. It is humbling and uplifting to sit above the clouds, watching the sky change colors. Knowing I reached that point on my own two feet and that I would rely on those feet to get me back down. Our planet is powerful and we humans are capable of so much. Yet always we bow to nature: a force that has been truly kind to me. My gratitude knows no bounds and my love of life grows ever stronger. And I feel very lucky to have met you on the climb Marbree. We got there and we did it well. I am very grateful to have had you as a climbing partner. And that my legs no longer hurt! Safe travels. Love the summit shots waiting for the sunrise, did a couple of all night climbs to summit with the sun, Mt Washington and Marcy. Took a van up Haliakla but we rode bikes down to the sea from up there, about 30 miles if I recall. I share your postings with some of my brothers, friends from here, Alb, NH and my own 3 kids. Keep those adventures coming, I know it isn’t all smooth but you are filling your life ride up like nobody else I’ve known. Makes me want to go outside into the cold that is still hanging on so I will. Riding down Haleakala must have been incredible! The ride I’m on is pretty damn awesome and I’m more grateful for it every day. Keep getting out there in the cold and try to take my dad with you from time to time, please. Must be one rewarding experience to witness such cinematic views! You write with such beautiful words, really enjoyed reading about your wonderful experience. Thank you, Therie. It was an incredible experience, one I think will stick with me for a long time!